Just a fun place to share insights and discuss nerdy things. Update #4 - Why did this go Viral? June 27, 2018 - I want to make something totally clear. I understand that no one reads this blog. Fact is that is kind of by design. Since I don't mention this to anyone mostly because I am still formulating what THIS is. Why would a simple post like this go viral? It really wasn't that witty. I can't say why it went viral, I can only say that it did. To me, it confirmed that last night I made the right choice with Jeremy. It gave me encouragement to simply continue to just focus on earning my jellybean and everything else will take care of itself. #earningmyjellybean. June 26, 2018 - This has been my worst week for Jellybeans since we started the project. I will miss a total of 5 jellybean ceremonies this week. Now it hasn't been because I have been making bad decisions, as much as, I have been playing the cards that life has dealt me. As I mentioned in the first post, my job is selling AI solutions to Higher Ed. So to do my job effectively, I need to be where the schools are. 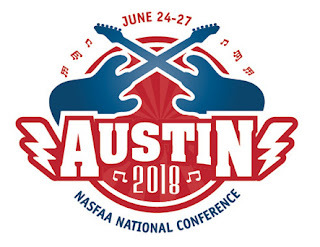 And this week that took me to Austin, Texas for the NASFAA Annual Conference which normally would be a great thing. June 7, 2018- Today is a very proud day for this dad because it is graduation day. Actually, Avery woke up a little groggy so I immediately began teasing her that it was "Coronation Day", which only proves that I have seen Frozen a few times too many. Update 1: "No Jellybean for YOU"
I knew it wasn't a matter of IF but simply a matter of WHEN I was going to NOT earn my jellybean. You see my job requires me to visit with colleges and attend conferences around the country. I simply do not have the luxury of being home every night for the jellybean ceremony. So I knew there would be a few that I would miss. That is one of the important reasons that the jellybeans come out of the jar every day rather than collect in the jar. It is very important to visually appreciate what I have. I want to be reminded of how fast that jar empties irrespective of the choices that I make. I have already found that it makes me want to make the most out of every chance we have together. Less than two weeks into our MVP, on Mothers Day 2018 no less, I would need to hit the road. 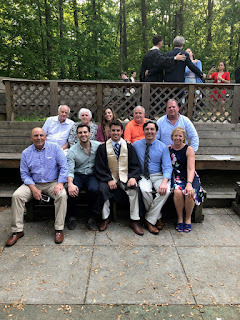 My Mom was going to be at the University of Richmond seeing her second youngest grandchild graduate from college. Something she had seen her 7 other grandchildren do, and some of them more than once. May 1, 2018 - In honor of National Decision Day 2018, I tried to explain to my daughter the importance of today. Unfortunately, she is only in PreK, and it just wasn't going as well as I would like. So we decided to focus instead on the decisions we make every day. Because after all, there aren't that many really big decisions in life. It is the millions of little decisions that we make every day that determines who we are as people. So being a tech guy by nature, I told my daughter we will create a system that will train us both to make better decisions.